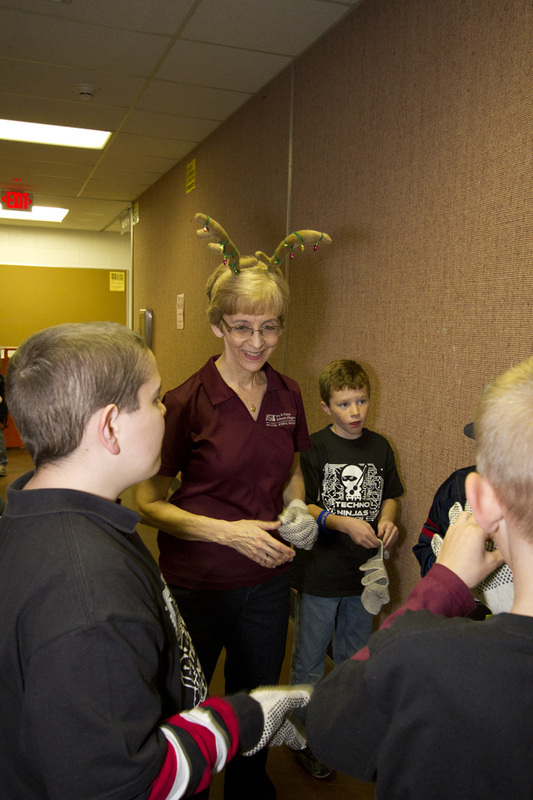 Patty Smith with the Techno Ninjas team at the 2011 FLL Regional Competition. Patricia Smith recently received the Outstanding Volunteer of the Year award from the FIRST Robotics organization in Arizona. Smith is a K-12 outreach coordinator for the Student Outreach and Retention Program in the Ira A. Fulton Schools of Engineering. She oversees the Arizona FIRST LEGO League robotics competition program in which thousands of young students throughout the state participate each year. FIRST (For Inspiration and Recognition of Science and Technology) seeks to engage children and young teens in mentor-based programs to build science, engineering and technology skills. 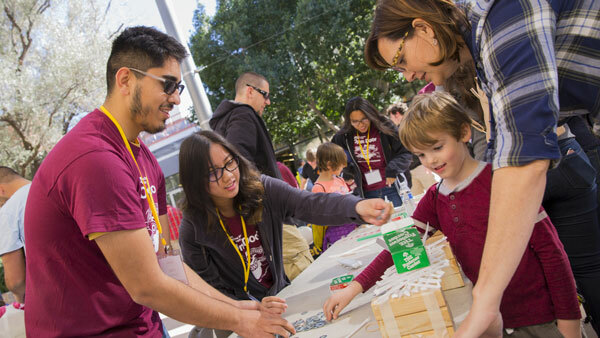 ASU’s Ira A. Fulton Schools of Engineering began hosting the annual FIRST LEGO League (FLL) Arizona State Championship in 2008. Smith began serving as FLL’s Arizona operational partner at that time, working to recruit student teams for the program and support their participation in local, regional and state robotics competitions. Since then the number of teams and tournaments has increased from about 100 teams and three regional qualifying tournaments to 265 teams and 10 regional qualifying tournaments in 2011. For the 2011 Arizona FIRST LEGO League season, the program launched new tournaments in Sierra Vista, Yuma, Mesa and downtown Phoenix. “The growth in participation is exciting,” Smith says, “but even more so is the increase in student teams from underserved communities” whose schools are not able to provide many opportunities for education in STEM (Science, Technology, Engineering and Math) subjects.